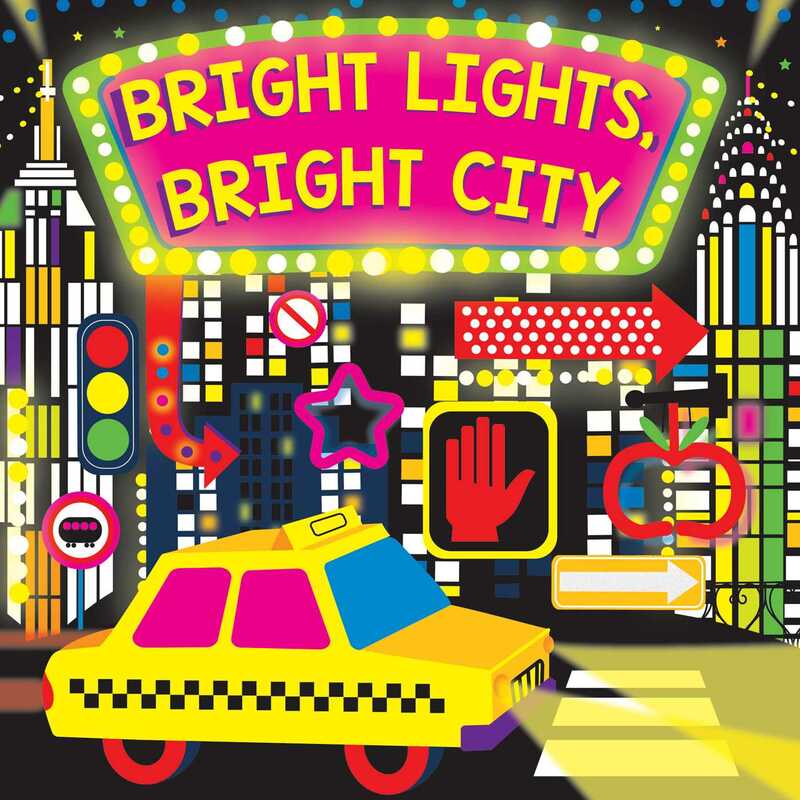 A unique board book with bright, fluorescent images of city sights! It's time to visit the city! There are all types fluorescent city sights featured in this book, including towering skyscrapers, big freeways, neon lights, huge bridges, beautiful parks, and much more! The scenes are accompanied by simple, descriptive phrases on each page. With bright, fluorescent colors, this book is sure to catch children's and parents' eyes! More books in this series: Fluorescent Pop!